Did our firm file an extension for your 2017 tax returns? If so here there are important due dates below YOU need to know! Be sure to check your mail or email for more details! The number one target for online data thieves is tax preparation offices. Stolen data often occurs when information is transmitted via email. In order to reduce risk & increase data theft protection for you, please upload your files using File Exchange on your client portal at www.hccpas.net/client-login. When using File Exchange, please be sure to upload all documents within one or two attempts. State Sales Tax Changes - Coming Soon? In its South Dakota v. Wayfair decision, on June 21st the U.S. Supreme court overturned the sales and use tax requirement that had been the standard for decades (since 1967) - That is, remote vendors without a physical presence in a state could not be forced to collect sales tax from in-state customers. The new decision now allows individual states to collect sales tax from in-state customers. The decision will affect not only online sellers, but also more traditional remote sellers such as manufacturers seeking to expand their sales beyond their domestic state. In Wayfair, the Court upheld a South Dakota law that requires remote vendors to collect tax if they have either 200 transactions or sales exceeding $100,000 in the state in a year, regardless of their physical presence in the state. The Court held that South Dakota's law did not violate the Commerce Clause because the state adopted the Streamlined Sales and Use Tax Agreement, it did not apply the collection responsibility retroactively, and provided relief to small vendors. With physical presence no longer a requirement, the nation is now awaiting guidance. The Court's historic decision will have a tremendous effect on sales and use tax collection responsibilities for remote vendors. At least seven states have enacted laws that mirror South Dakota's legislation, and there are at least five more states with pending variety of different sales tax collection laws that do not require physical presence. A number of bills addressing sales tax issues are currently in review with Congress. Small business in the country may come to a stand-still regarding internet sales activity. The wide-reaching decision in Wayfair will benefit individual and "brick and motor" stores, but possibly to the detriment of growth. Concerns for small business are numerous: How does a small business trying to get started comply with over 40 different state rules and 500 local jurisdiction rules when the whole world has moved to internet sales? Will all 50 states have different thresholds, filing AND payment requirements? Will the over 500 local jurisdictions charge sales tax too? Is the 200 transaction/$100,000 sales amount the new threshold or just the threshold in South Dakota? Does the Streamlined Sales Tax agreement provide clear guidance as the court seems to indicate or is it a suggestion? While larger online retailers can absorb the additional cost of compliance, the impact on smaller retailers may be devastating. We will continue to monitor and keep you posted on state developments regarding the new reporting and payment requirements for sales and use tax. Like us on Facebook for the latest updates. Hyde & Company’s character trait for reflection during June is DETERMINATION. Grit and grind; Those two words came to mind when we became aware of this month's Character Core trait of the month, Determination. To achieve anything in life you have to overcome obstacles, and, regardless of how much you plan there will be an obstacle blocking you from completion. "A goal doesn't become reality through magic; it takes sweat, determination and hard work" - Colin Powell. This is especially true in our line of work. We have systems in place and amazing clients who make our processes a breeze, but we still have trials here and there. So how do we push through? Having determination in some scenarios isn't easy, which is why we're taking tips (via Character Core). Setting goals is critical in order to know where you are headed and to properly plan how to get there. Unless you are actually moving, you won't go anywhere or accomplish anything. Think of a time when you knew what to do, but had difficulty taking that first step. What kept you from moving forward? What motivated you once you began? Flexibility is essential when circumstances differ from what is expected. What is the difference between being flexible and holding on to your goals? Can you think of a time when an organization or person who weathered the storm of change? Small-business owners flourish from creating a “do-it-yourself” atmosphere; it’s what drives their entrepreneur spirit. However, the more you take on, the less you’ll successfully accomplish down the road. Accurate & effective accounting is the most important area for keeping your company profitable and flourishing. Professional accountants can help your company move forward and help it throughout its stages of growth. There are many things to think about when you’re starting out, including creating a business structure, setting up bank accounts, and complying with Government regulations. You might think it’s too early to hire an accountant during this phase, but the way you set up your operations can impact your future success. We (accountants) can analyze your business plan and help you determine the business structure that fits you best. Also throughout this phase, we can assist you with making sound financial decisions so you don’t have to spend more money to correct mistakes later. Not every small business is required to conduct an audit, but unless you consult with an accountant on a reoccurring basis you might not know one is needed until it’s too late. ALL businesses should comply with local Generally Accepted Accounting Principles (GAAP). Contact our office to ensure your records are compliant. At some point your small business will need additional funding for expansion, new equipment, etc. Your selected lender will most likely request an updated financial statement for your company and yourself (as the owner). By having us prepare your financial statements on a reoccurring basis, you can have these readily available for any lender and can increase your chances of getting approved. Does your business planning match your financial forecast? Have you read the tax code? 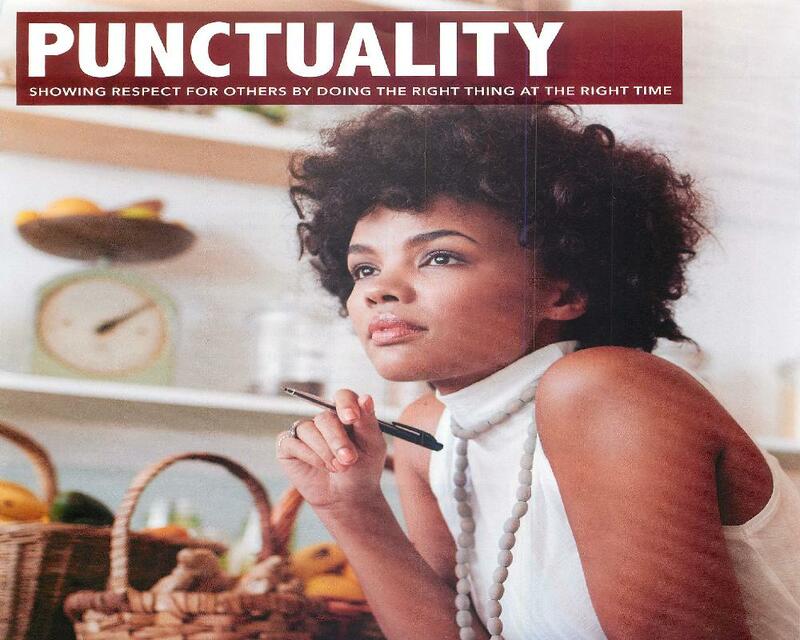 Do you have enough time to take care of all the accounting duties yourself? Are your accounting entries classified correctly? Do you know what auditors look for when conducting an audit? Do you know what needs to be in a financial statement? 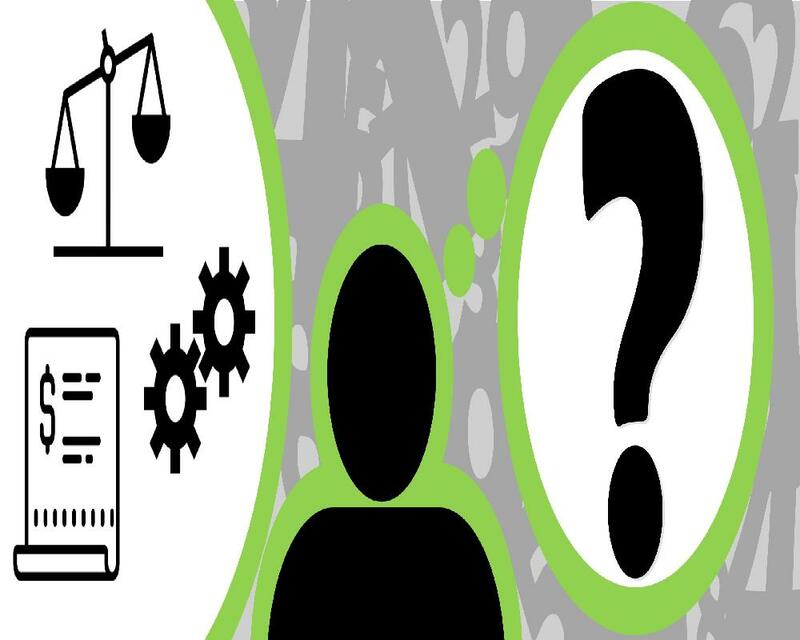 Does the employee you have handling accounting for your business know the answers to the questions above? If you answered "no" to any of the questions above, you can benefit greatly from our services. We can provide your business with personal services, superior knowledge and valued integrity. Contact us today! Hyde & Company’s character trait for reflection during April is AVAILABILITY. Think of someone you really trust in life: What is their best quality? Most likely they are compassionate, thoughtful, funny...but what really sets them apart? Our closest friends generally are the ones who are there for us the most - they make it a priority to be available when we need them the most. As Character Core puts it, "When we are "there" when others need us, we show them that we care about them and for them. When we are "there" when our employer needs us, we demonstrate that our jobs are important and that we value the opportunity to be a part of the team". One of the most important traits our clients expect from us is to be "there" when they have an issue. Whether it's unexpected tax due with the IRS or a compliance issue, we want to ensure to them that we are available and will do everything in our power to settle the situation. We're not saying we have it all figured out, which is why we will be taking the month of May to improve our availability using the tips below (via Character Core). Notice what is going around around you to find the obvious ways to help someone near you. Being available means you are ready, willing, and able to help others. Has there been a time when you wished someone would have noticed you needed help? What are some things you can do to remind yourself to look around to see if you can be of assistance to someone? Once you notice a need, find a way to be of assistance - Instead of ignoring a need when you see it, make the effort to approach the person and offer to help. What are some ways others have helped you that made a difference? What are some things people have said to you when trying to help that weren't "helpful"? If you are going to serve, do it willingly and whole-heartedly and you will benefit as well. Make the other person feel good about their interaction with you and you may help solidify your relationship. Who is someone you know who serves others cheerfully? What do other people thing about them? How can your bad attitude make the person you are helping feel badly or uncomfortable? After someone has helped you, how do you now feel about that person? What Risks Are YOU Taking Online? Hyde & Company’s primary goal is keeping your information confidential, by any means necessary. There have been numerous situations where clients have become victims of Identity Theft and the process to resolve the issue is a grueling one. The IRS has determined that one of the prime targets of data theft is tax preparation companies. Many identity theft incidents occur when sensitive material is transmitted through non-secure networks, such as regular email or even surface mail. This threat to our clients has brought about how sensitive material should be sent to us, and, vice versa. Want more info? Click below! Given the ever-changing security risks that must be considered when transacting business online (or through email), Hyde & Company CPAs understands your concerns about data security and safety. Because you’ve chosen our services, you can be assured that your data is being stored in a secure network. Every precaution is taken to guarantee the safety of your data, including multiple levels of security, built-in safeguards to prevent attacks and ID spoofing, and continuous education for our staff on the confidential nature of your information and need for privacy. Upon receiving your information, Hyde & Company CPAs takes all measures necessary to safeguard your data. However, the transfer of data from you - our client - to us is where risk most often occurs. File Exchange is the best tool to send us your documents securely (see features below). For years Hyde & Company CPAs has provided a secure online portal for all of our clients to utilize that allows us to exchange documents with one another. This client portal is accessable 24/7 through our website (http://www.hccpas.net/client-login). In order to reduce risk and increase protectection from data theft, we strongly urge all of our clients to utilize their portals as it is the best way to protect yourselves and reduce risk of theft. Once your portal has been setup, you can download documents, pay invoices, or upload files within a secured, password-protected online infrastructure. File Exchange: The perfect tool that allows you to send your documents or QuickBooks files to us securely, with ease. Our staff uses File Exchange in order obtain necessary signatures from our clients for certain confidential documents. Online Invoice Payments: Need to pay your invoice to us with a credit card? Just logon, click My Invoices, select which invoice(s) to pay and the rest is simple! Document Presentation: Get copies of your tax returns, financial statements, payroll reports or any other files from our firm – no need to hunt for your paper copy! If you have more than one account with Hyde & Company, your documents are sorted as such into separate folders. NetClient CS Mobile APP: The FREE client portal app allows you to access files or pay invoices from your smartphone or tablet. Available for all mobile operating systems. If you ever need any assistance using your Client Portal, contact our admin department anytime. We can help! Hyde & Company’s character trait for reflection during March is DECISIVENESS. We all come to a point in life, a monumental, life-changing moment, where we have to make a hard decision; sometimes it will be the hardest decision you will make in your life. On the other hand, some of us have to make hard decisions nearly every single day. But how do we know if we're making the RIGHT decision? I don't know that we will ever know the answer to that question. However, we CAN control how we approach each decision to secure the best possible overall outcome for all parties involved. Below are some steps to help you along the way. Preparation is the foundation for decisiveness. Choose an option that most closely matches your inner values and you will be happier and less stressed. What can happen if you make decisions that go against what you value? Make sure you are willing to do what is necessary to make your decision work. Why is it important for others to see that you are committed to your decision before they agree to follow you? What message does it send to others if you are unwilling to do what is necessary, yet you want them to sacrifice to reach a goal? Make good decisions with confidence and you will inspire others around you. Who is someone you know who inspires you? What do they do that gives you confidence in them? How does it make you feel when others trust you to make decisions? How can YOU be invovled? Pick one of these organizations and we will write your name on a Pledge Card to be displayed in our lobby area. Tell us who you choose - Send us a message on Facebook! Now obviously...there's no wrong choice! We just want to make sure ALL of these organizations are shown a great amount of love & support! If something doesn't feel right, ask yourself why. When someone points out a blind spot, listen to his or her perspective. How should you respond when someone corrects you? Honesty builds trust and trust is the currency of relationships. How can helping someone through a problem strengthen your relationship? Think about a time when you had to have a difficult conversation. How did you approach it? How did you feel afterward? An honest and truthful person is loyal to family and friends, keeps commitments, doesn't cheat and takes care of quality issues. How is "quality control" a part of being honest? Why is it important to be an honest employee? 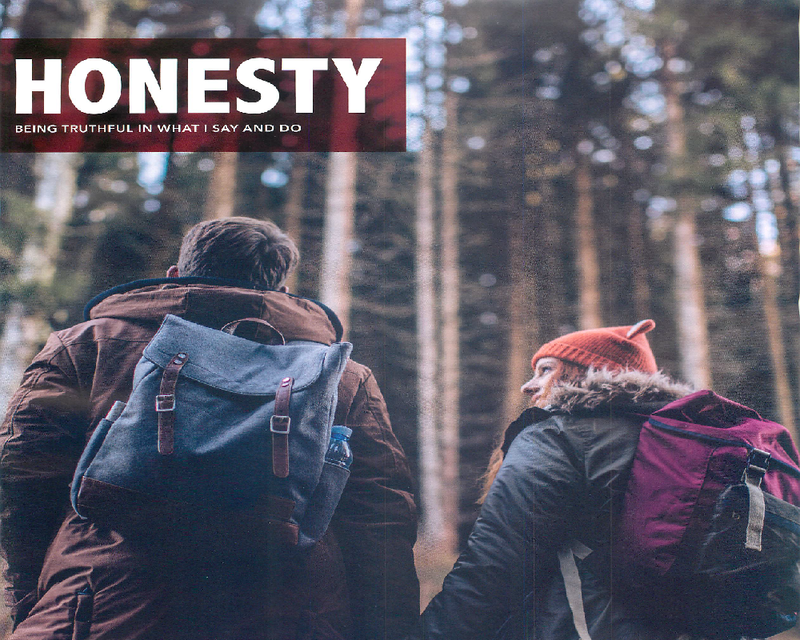 If you see yourself as an honest person...dig deep...What are some things you can improve? Every year, all business entities are required to file Form 901, Business Personal Property Return, with the county assessor’s office to report tangible assets as they exist on January 1st. The due date for filing this year’s return is March 15, 2018. This return CANNOT be extended – Penalties will be applied if not filed by the due date. If we prepared Form 901 for you last year, we have uploaded a copy of the 2016 Depreciation Report to your client portal. Please review this report, then fill out the form that was sent to you and return it to our office no later than Friday, February 16th. If you are a current client and would like for us to prepare your Business Personal Property Return, contact us ASAP. The new tax season is here and we look forward to working with everyone this year! Below are the due dates for this year's tax season. The number one target for online data thieves is tax preparation offices. Stolen data often occurs when information is transmitted via email. In order to reduce risk & increase data theft protection for you, please upload your files using File Exchange on your client portal at www.hccpas.net/client-login. When using File Exchange, please be sure to upload all documents within one or two attempts. Documents uploaded to File Exchange are stored for only 2 weeks to ensure orderliness & reduce clutter. "New Year, New Me! "...It's a common phrase we hear from friends & family to start off any new year. But how can we really "recreate" ourselves? Maintaining a positive attitude can go a long way toward improving your outlook on life, thus, creating a better environment around you. Being a positive person can be draining, especially when it seems like there are so many bad things happening around us. This month we are encouraging each other in our office, & everyone else, to strive to be the type of person who looks on the bright side & tries to make the best out of every situation. Here's to a good 2018! Recognize & appreciate the good things in life - You can usually find something positive when you intentionally look for it. Do you know anyone who is a very positive person? How do you feel when you're around them? If you have a hard time staying positive about your own situation, try to spread good cheer to others. Think about someone who has encouraged you. What did they do and/or say to make your situation better? What can you do for an "energy draining" person to help them regain a positive outlook? It's easier to maintain a good attitude when you know your life will count for something - when you know you're making a difference. What are things that give you meaning in life? Are you a good worker, sister/brother, parent, etc.? What are some ways you can make a positive difference in your life & in the lives of others? Think of someone you know who makes a difference. What type of attitude do they exhibit when they are serving others? The new tax bill, which Congress passed last week, represents the most significant changes to the U.S. Tax Code in the past 30 years! We are still digesting the 1000+ pages of the agreement which will affect 2018 income taxes. Each business & individual tax situation is different. If you would like to discuss how the changes will affect you, please call our office to let us know when you would like to meet. 2018 is getting closer & closer - It's time to gather year-end items! Below we have listed items that we find most important for the time being... If you're a client of Hyde & Co., please review carefully only the items that apply to you. You should have (or will be) received a packet in the mail to help assist you with this information. Should you have any questions, don't hesitate to give us a call! 2017 Is Almost Over - Are You Prepared? As each year draws to a close, we advise you to revisit your tax management strategies and plan as judiciously as possible for the remainder of the year and, in some cases, for the years ahead. However, with proposed tax reform legislation making its way through Congress, things are more complicated this time. The final package, if enacted, will very likely bring changes that could affect both your business (if applicable) and personal tax planning. State and Local Income Taxes – because this tax break is likely to be eliminated, mail your 4th quarter estimate due in January by December 31st to claim the deduction in 2017. Residential Real Estate Taxes – with a possible $10,000 cap or even a complete repeal, prepay taxes on your home this year. Charitable Contributions – a potential increase in standard deductions will de-value or even eliminate the tax benefit, so charge your credit card or mail the checks by December 31st to ensure a write-off on your 2017 return. Medical Expenses – in light of a possible repeal, consider paying for elective procedures by December 31st if your 2017 medicals are close to or exceed 10% of your adjusted gross income for the year. Unreimbursed Employee Business Expenses – since the deduction is most likely to be removed, consider making payments before December 31st. Additionally, other special situations may affect your tax planning such as the cutback in itemized deductions for upper-income individuals, alternative minimum tax, capital gains, and re-characterization of Roth IRAs. We can help you decide on the most prudent course of action related to those items. There is still time to set up an appointment for your personal year-end tax planning! We recommend a meeting if you have had any major changes during 2017 or are expecting major financial changes in 2017 or 2018, such as retirement and inheritance. Contact our office at 405-842-0028 or email admin@hccpas.net to schedule your appointment. When was the last time that you needed help and someone stopped and helped you (and vice versa)? Who is someone you know who is always willing to lend a helping hand? What are some of the ways they help others? Not all problems are obvious, which is why it is important to listen before taking action - Listening shows you care. What are some questions you can ask to find out how you can help? When have you taken the time to listen to someone else? Compassion is more than writing a check - It's getting involved personally. Why is it important to actually do something once you notice a need? What are some places around town that could use your help? What do auditors look for when conducting an audit? The more we understand the process of life, the better we can work & live. What are some cause & effect relationships you see every day? What is something that occurred in the past that taught you a good lesson? A person who thinks they know everything rarely does, but a wise person realizes the value of good advice. Who is someone you can ask for advice? What can you avoid by asking someone you trust for advice? Wisdom is nonexistent if you never apply what you've learned from past experiences. The real test of wisdom is applying what you learn. When did you make a mistake & learn from it? How did making the mistake actually help you later on? What are some things you have learned over time that have helped you make better choices & decisions? The most common phrase business owners or managers say after news comes out of an employee committing fraud at their workplace is “How did I not see this coming?” Dealing with embezzlement is a messy situation. Although our firm can handle these situations, we never want our clients to experience it. In other words: We encourage all of our clients to be PROactive, not reactive! Our firm’s goal is to help teach our clients how to spot these “red flags” and worry less about potential fraud. Adequately functioning internal controls (both preventative and detective) are the best way to prevent fraud. At the same time, an owner or manager can be mindful of telltale signs. If someone in your organization exhibits these red flags, contact us today! We can help minimize your company's risk, protect your assets & avoid potential loss related to embezzlement or theft! 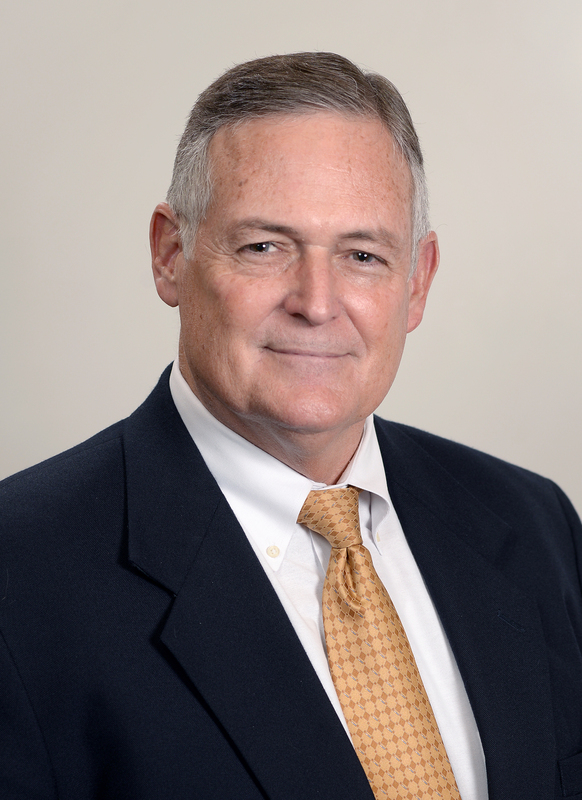 Lou Davis, CPA, CFSA, CGMA, Senior Audit Manager of Hyde & Company CPAs, has over 30 years of experience working closely with clients and handling many cases of fraud and embezzlement. 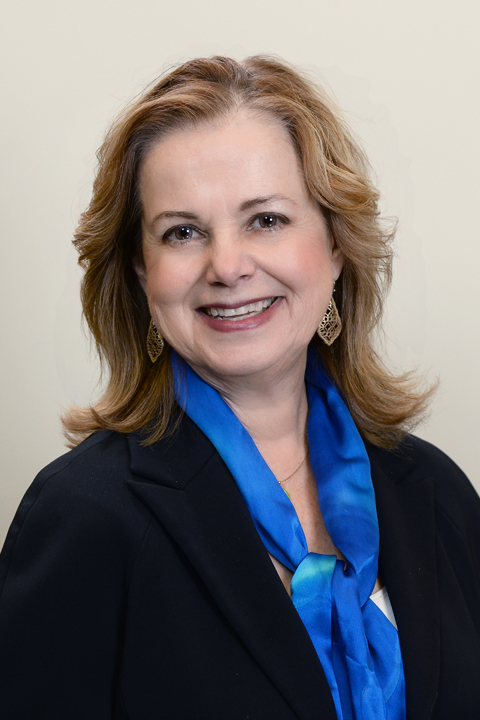 As a consultant and advisor, Lou can assist in making your internal controls more effective while creating new policies and procedures to implement in your workplace. Recognize each situation as unique & recognize the seriousness of giving your word. Why is it important to be honest about what you can deliver & when? 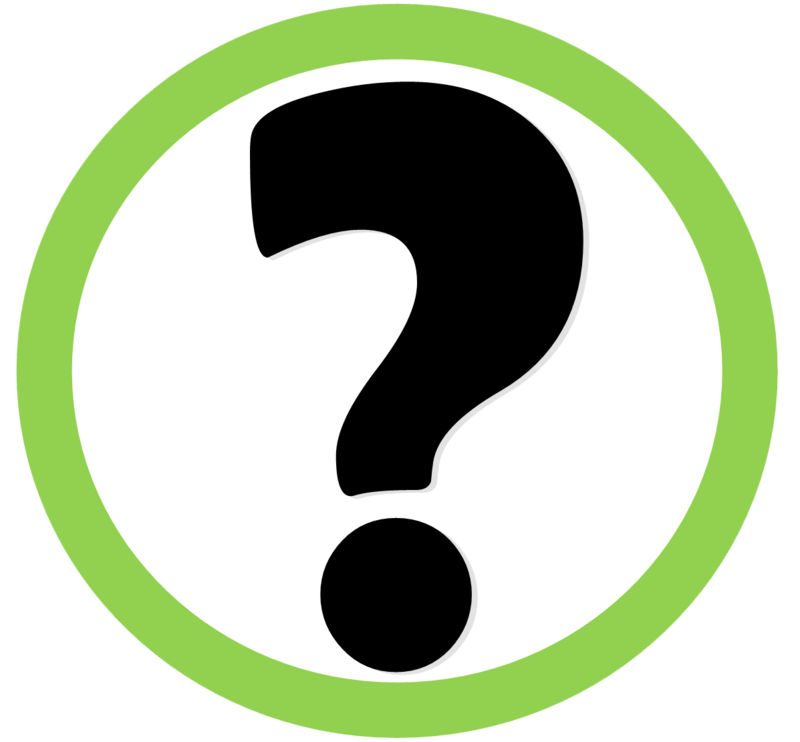 What are some questions you can ask to clarify the expectations others have of your task? Break down each task...Don't procrastinate...Finish the Job. Recognize the value of being a person who keeps his or her word & what the impact could mean in a "bigger picture" situation. When it looks like you might miss a deadline or not keep a promise, address & communicate the issue to all involved parties ASAP. Why is it important to let others know when you can't make the deadline? Why is it important to be a person that others can trust? 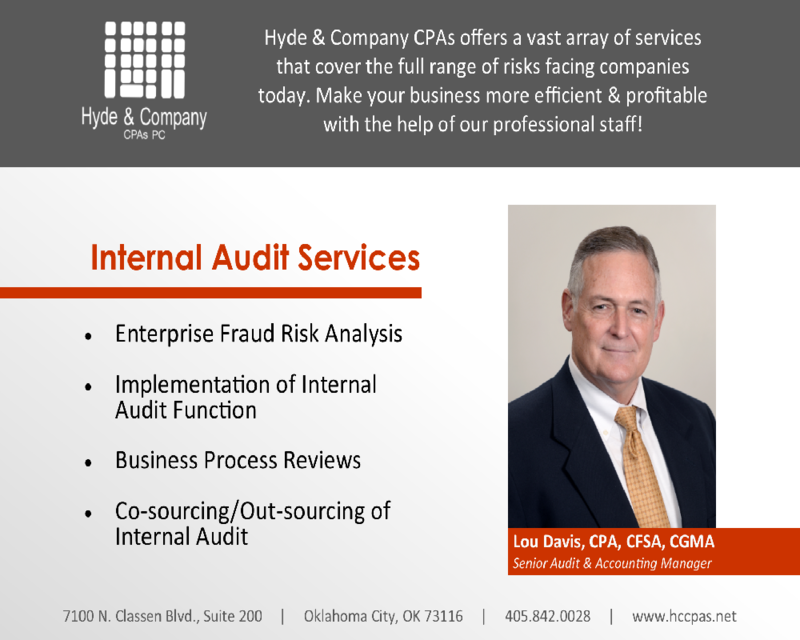 In order to cover the many risks facing companies today, Hyde & Company CPAs offers a vast array of services structured to provide outsourced internal audits. To assist you in managing these risks, we have developed practical, risk-focused programs targeting your specific internal audit needs. We employ the use of "subject matter experts" - designated individuals performing in their specific field of expertise - to provide you with a wide range of skills and industry experience for a customized audit approach. We understand that outsourcing your internal audit needs is a difficult step for many companies. Our service offers flexibility & control to ensure compatibility with your goals, professionals that will assist in strengthening your systems, & the same commitment accorded to the most important of clients. To learn more, contact Lou Davis, Senior Audit & Accounting Manager at Hyde & Company CPAs. It's important to step back, acknowledge what is happening & how you feel about it. By identifying the obstacle, you can learn how to overcome it. Think about a time you were knocked down in life. How did you handle it? Is there, or was there, someone in your life who was there for you & helped you deal with challenges? If your current efforts aren't working, reevaluate. Why can making a new plan be difficult to do? Think of someone who is good at handling change. Do you like being around them? Why or why not? Who is someone you can ask to help you gain a new perspective? Everyone gets knocked down from time to time. But, it is critical to pick yourself up & try again - with a new approach. Do you know someone who never recovered once life knocked them down? Would a different approach have helped? When have you felt like giving up vs. tackling the problem again? August 2017 marked Hyde & Company CPAs' 15th year in existence. We've had people come & go, but our spirit & mission never changed. Throughout the month we've been taking a look back at some of our favorite memories via our Facebook page. Here's what we found! If our firm filed an extension for your personal (Form 1040) 2016 tax return...Monday, October 16 is the deadline to file. We must receive all of your tax information no later than Wednesday, September 20 so we can verify that we have everything we need to complete your tax returns by the due date. If you do not provide us your information by this date we cannot guarantee your returns will be filed by the Oct. 16 due date. Please drop off information at our office or upload using File Exchange through your secure online client portal. Check out our illustrated videos, which can give you insight during this tax season. Remember to 'LIKE' our Facebook page to always stay informed on what you need-to-know! Are you behind on your Oklahoma income taxes? Forget to pay use tax on equipment acquired from an out-of-state vendor? Do you have other tax compliance issues? Now is the time to act! The Oklahoma Tax Commission (OTC) is offering an amnesty program from September 1, 2017 through November 30, 2017 which could administer a waiver of penalties, interest, and other collection fees for taxpayers who voluntarily file delinquent tax returns. All you need to do is pay the taxes due or setup a payment plan with the OTC during the initiative. If you are a client of Hyde & Company, contact us today to take advantage of this limited opportunity! Create a schedule without over-committing yourself to avoid the chance of being late to something. How do you keep track of your daily schedule? How is it working for you? How do you politely refuse someone's request or invitation? Don't get so caught up that you forget about other commitments - Set reminders/alarms to help you remember the time. What do you use to keep track of time/remind yourself of appointments? Ask a friend or colleague some tools or "tricks" they use to keep track of time. Plan a little "cushion" in your schedule, budget, and life to handle setbacks. Think about your day-to-day schedule. Where are some potential areas you could add some "cushion"? How do you feel when you have time to spare? If our firm filed an extension for your company and/or trust/estate 2016 tax returns, Friday, September 15 is the deadline to file. We must receive all of your tax information no later than Tuesday, August 15 so we can verify that we have everything we need to complete your tax returns by the due date. If you do not provide us your information by this date we cannot guarantee your returns will be filed by the Sep. 15 due date. What does it mean to be a team? When hearing the word ‘team’ most people automatically think of a group of players forming one side in a competitive game or sport. All teams have one thing in common: people coming together to achieve a common goal. Our natural instinct as fans is to act like we’re a part of a team. “We need to get better on defense!” “’We are going all the way this year!” Although WE aren’t physically playing on a field or a court, this doesn’t change the fact that we pour ourselves into the teams we love. We invest our time, money, and emotions into supporting them. Teams on the field don’t exist without their supporting team off of it. THAT’s what it means to be a team! Young athletes in our area need our support now more than ever. The fact is this: there are hundreds if not thousands of children in Oklahoma alone that want to be a part of a team but can’t. They can’t because they can’t afford the proper sport shoes, uniforms or equipment. They can’t receive that morale boost that you can only get from team. With our support, we can change can't to can. Hyde & Company wants to help and we need you! This summer we are partnering with Oklahoma Cleats for Kids, a not-for-profit organization involved in giving sports shoes and equipment to children in the community as well as engaging kids to give back to their community in sports related community service. In order to achieve this mission, Cleats for Kids relies solely on contributions from people within the community. From July 17 through August 31, 2017, we are hosting a drive where we will be collecting sports equipment such as shoes/cleats, clothes, gloves, helmets, etc. Show your support and Be a Team Player! Drop off hours are Monday through Friday, 8am to 5pm. We are located at 7100 N. Classen Blvd., Suite 200, Oklahoma City, OK 73116. Visit www.okc4k.org to learn more about Oklahoma Cleats for Kids and how they impact our community! Follow us on Facebook, Twitter and Linkedin for details throughout our campaign. Being courageous goes deeper than the obvious. Those serving our country, our communities, fighting for our freedom - those are your obvious heroes. They make difficult decisions and/or lay their lives on the line for the benefit of others. But courage doesn't begin & end with those in the public spotlight. Courage is simply overcoming a personal battle or tackling an obstacle, taking on harmful feedback, & coming out on top. Resolving tax matters for our clients doesn't always result "good news". In fact, we are often put in a position to deliver not-so-pretty outcomes. But, that's why we're here: to put our clients in a position where they can courageously tackle their issues head-on. Obstacles come your way just about every day...How can you be more courageous? What are some situations that frighten you or cause you concern? What are some things you feel are important - that you are willing to take a risk to protect? Courage happens when you take a risk. Risks generally come with negative feedback. Prepare yourself emotionally to meet challenges. Have you ever had to stand up to someone? What did you do & how did it feel afterwards? Think about a time when you had to share difficult feedback with someone. How did you approach them? What would you have done differently? The easy thing to do is give up when things become difficult or frustrating. Keep up your effort, the results will be refreshing. How do you motivate yourself to keep going even when it was difficult? Think of someone who is courageous. 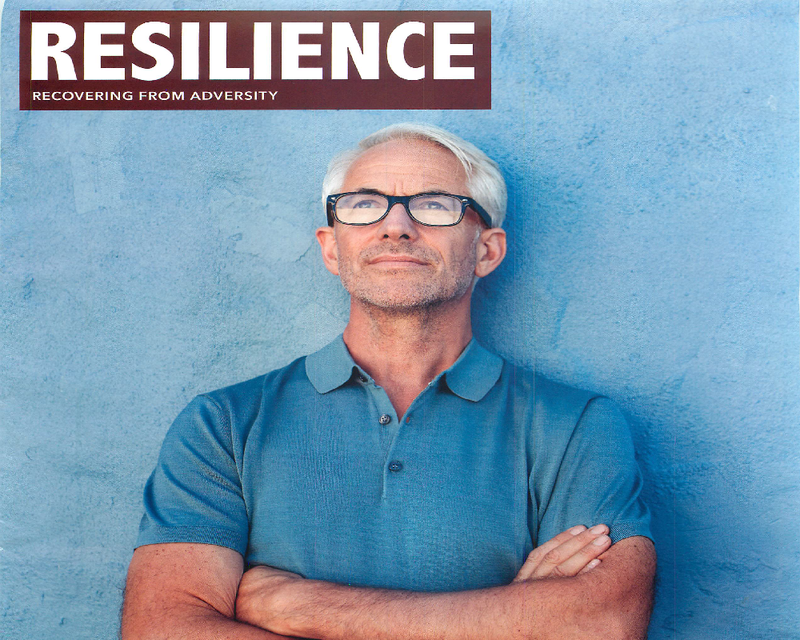 How do they handle adversity or challenging situations? It's that time of year again! During the month of July, we will be preparing Oklahoma Annual Franchise Tax Returns for the period July 1, 2017 through June 30, 2018. Does your company need to file? Read below to find out! Who files & pays franchise tax? All regular corporations and subchapter S-Corporations are required to file Form 200, Oklahoma Annual Franchise Tax Return, & pay franchise tax. Not-for-profit & partnerships (LLC's) are not subject to franchise tax. Foreign not-for-profit corporations, however, are still required to pay the $100.00 registered agent fee. LLCs are statutorily exempt from franchise tax. How is franchise tax calculated? The franchise tax is calculated at the rate of $1.25 for each $1,000.00 of capital employed in or apportioned to Oklahoma. Only those corporations with capital of $201,000.00 or more are required to remit the franchise tax. The maximum amount of franchise tax that a corporation may pay is $20,000.00. When a corporation’s franchise tax liability is zero, the corporation must still file an annual franchise tax return. If a foreign corporation (one domiciled outside Oklahoma) has no franchise tax due, it is still liable for the $100.00 registered agent fee. A corporation filing its franchise tax return on July 1, 2017 shall use the corporation’s 2016 income tax year balance sheet in preparing the return, regardless of whether the corporation is a calendar-year or a fiscal-year filer. A corporation that elects to use its income tax return due date for payment and filing of the corporation’s franchise tax return shall use the corporation’s 2016 income tax year balance sheet in preparing the return. Oklahoma franchise tax is due & payable each year on July 1 (or by September 15 without penalties). When do franchise returns become delinquent? The return is delinquent if the corporation files & pays the tax after September 15 of each year. What are the penalties for paying the tax late? If a corporation has a franchise tax liability & does not remit the tax by September 15, the Oklahoma Tax Commission assesses a penalty of 10% of the tax due along with interest accruing at the rate of 1.25% per month. Change is inevitable. Now, more than ever, change is also constant. Improving technology and ever-changing tax laws initiate the need to adapt and make our environment relevant and effective. At Hyde & Co., we understand the needs of our clients vary due to distinct demographic characteristics, which is why one of the most important traits we must inhabit is the ability to be flexible. By no means do we have things figured out 100%, which is why we are working this month to become more flexible by following the tips and asking ourselves the questions below (join us!). If you are able to mentally prepare yourself for the possibility of change, you will have a better chance to respond positively. Why does expecting change help you prepare for it? What is one of the most challenging changes you had to deal with lately? What did you do? You're not going to anticipate every change, which is why your ability to remain effective depends on your ability to get back up when you've been knocked down. When was a time when life knocked you down and you had to get back up and keep going? How did you feel after you were able to make it through? Think of someone who has helped you deal with change. What did they do that helped you? Maintain a good attitude through the process and willingly tackle your new challenges and you will grow. How can rebuilding after change help you find new and better ways of doing things. How can flexibility help you be happier when you leave work and return home? NetClient CS Mobile APP: The FREE client portal app allows you to access files or pay invoices from your smartphone or tablet. Available for iPhones and Android devices. April 18 was the deadline for filing 2016 individual tax returns. This means, any taxpayer who owed tax and did not pay them by April 18 will most likely owe interest and penalties on the tax they owe until it is paid in full. The same rule applies to those who filed a 6-month extension - if you owed tax for 2016 you are acquiring interest and penalties until you file your returns. What If I Can't Pay What I Owe? If you cannot pay the taxes you owe by the time you are ready to file your 2016 returns, no need to worry. Under most circumstances, the IRS will allow you to apply for an installment agreement which grants you the opportunity to pay your balance in monthly installments. This, however, does not dismiss any interest and penalties you may accrue until your entire balance is paid. Our suggestion: If you do NOT pay your 2016 taxes owed but DO file your returns, wait for the IRS to send you a notice in the mail. This way it will confirm (1) the balance owed for your taxes and (2) that the IRS has fully processed your return. When you receive said notice, we can assist in setting up your installment agreement with the IRS! All we need is a copy of the notice you received and a signed Power of Attorney. Or if your prefer, you may set up an agreement online. Clients: Avoid further tax penalties...NOW is the time to file your 2016 tax returns! Send us your tax documents to get your returns prepared today! Drop them off or upload using your client portal. Like our Facebook to stay on top of the latest news regarding your taxes, deadlines, plus much more. The 2017 Journal Record Reader Rankings are in and we made this list! We are honored to have been nominated! Now it's time to select us as the Best Accounting Firm (category 6) in Oklahoma. Also, please take time to select your favorite local businesses in the other categories! We as accountants make a living by staying alert at all times. By being alert we are able to solve issues before they become a major problem for our clients and our firm. That being said, we are human and miss some things here and there, just as anyone else. That's why this month we will be working to improve our alertness as a firm by committing to the points below. We hope you do the same to improve your workplace and everyday life! Alert individuals always know what's going on around them. What opportunities do you have, in your job, to be alert? How can being alert save people from getting hurt, preventing issues with quality control, and save the company money? Taking care of the things you notice will help those around you. Being considerate of others is one part of the equation, but it is important to act. When you have noticed something that needed attention, what did you do? What can happen if you do not take action once you notice something? How does an alert worker help the business and the bottom line? You can gain valuable insight into success by learning from your failures - this helps response time to future situations. Visit the Strata Leadership website to learn more about their development program for businesses used for building teamwork, improving communication and developing leaders. We asked and YOU responded! We had a terrific response in our invitation for involvement with our charity drive this season. Suited for Success relies soley on contributions from people with the commmunity and we had numerous people turnout to show that they care! Because of your generosity, we were able to give professional clothing to those who need them - those clothes valued nearly $30,000 total! Our drive began in early February. We had such a great response, we had to make more than one dropoff in our month-and-a-half campaign! 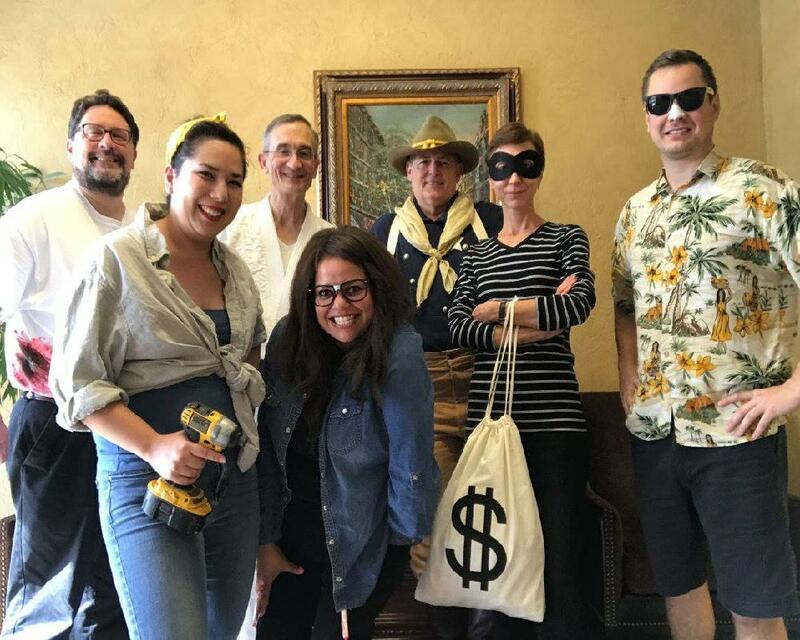 In addition, we also issued a challenge to our clients in March: For every 'Like' our Facebook page received during our charity drive our firm would donate money to Suited For Success. Challenge accepted! We had so many people like our page that we were able to donate $500! We cannot thank everyone enough for your involvement in this charity drive and for supporting the cause of Suited For Success. They are truly a great organization and we look forward to working with them again in the future! Find out more about Suited For Success and how you can donate. We live in a selfish world. It seems harsh to think that way, but we all have selfish tendencies. Most are taught to look out for ourselves because no one else will. Sure, effort on our part contributes to our individual success, but the support and encouragement from others is important to understanding our full potential. A humble person recognizes how others have contributed to his or her success. Think of two people who have made a significant investment in your life. What did they sacrifice on your behalf? Be teachable, especially when advice comes as criticism. How can your talents contribute to a team? How can you improve or get help in your areas of weakness? You can gain more support and develop better relationships by serving others every once in a while. Think of a leader you highly respect. How did that person show "servant-leadership"? How can you apply "servant leadership" in your life? Time is growing shorter and there are only a few weeks left until the April 18th tax deadline! If we did not receive your 2016 tax records to prepare your tax return as of March 24th we must file an extension of time to file. In order to prepare your extension properly, please fill out the information (as applicable) on THIS FORM and return to our office no later than Tuesday, April 4th. If you have predetermined an amount you would like to send with your extension, you may enclose a check with this form when sending to us. Also please send us your signed engagement letter if you have not already done so. We can provide you with another copy upon request. What makes you happy? Is it your work, hobbies, family? Becoming interested and supportive of something you or others are doing is a decision - Enthusiasm is a decision. We work as a team at Hyde & Company and being enthusiastic about our performance brings out the best in all of us. It's difficult to be enthusiastic all the time, but, follow the keys below and you may become closer to achieving it. Once you understand your contribution and overall goal, you will gain a bigger perspective on your work. What is your purpose at your job, and, what do you contribute to the overall goal at work? Focus your energy on each project, paying attention to each detail so that you can look back with satisfaction when you finish. What are some ways you can do your best on your job? When you haven't done your best - you have rushed a project or not done your best work - how did you feel about it later? Make sure your words and actions inspire others instead of drain them - Your workplace will become a more pleasant place to be. What are some ways you can make your workplace better? Depreciation: A reduction in the value of an asset with the passage of time, due in particular to wear & tear. 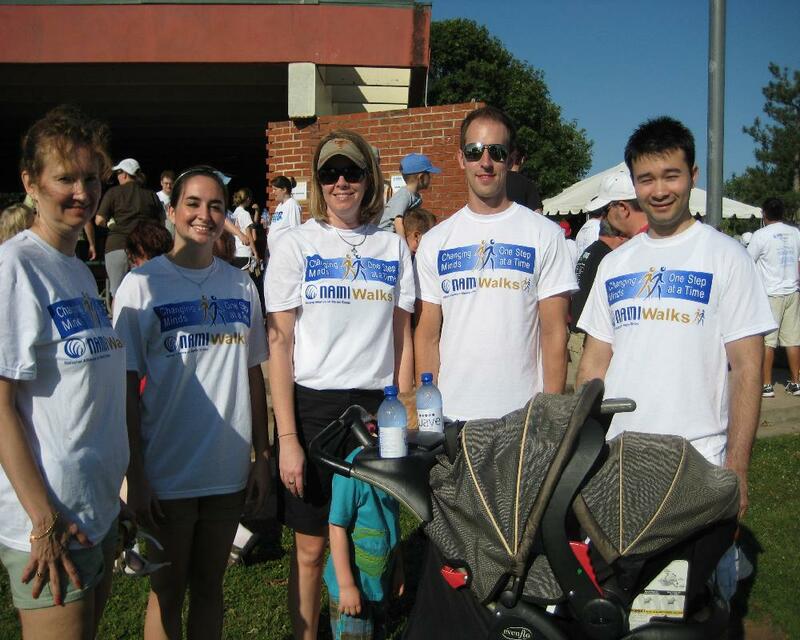 Hyde & Company CPAs has always been invested in supporting the community through involvement with various charities. This season, we have decided to partner with Suited For Success of Oklahoma City, a charity organization that provides professional clothing and career services to economically disadvantaged women. In order to achieve this mission, Suited for Success relies soley on contributions from people within the community. Be sure to follow us on Facebook, Twitter and Linkedin for details throughout the campaign. A tolerant person finds a way to reach common ground, regardless of social, physical, and cultural differences. How do you feel when others try to understand you instead of jumping to conclusions? 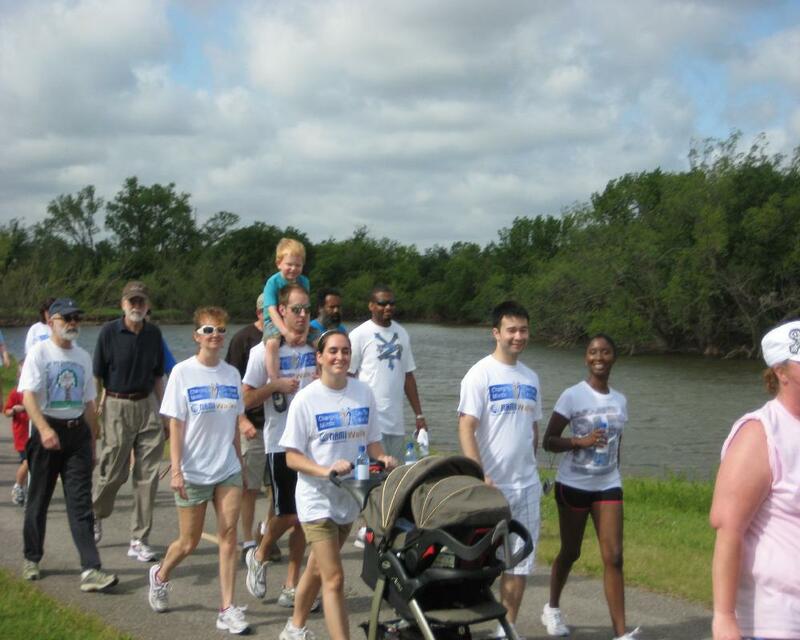 How can people with diverse backgrounds unite around a common goal? People will not grow unless they try their ideas & learn from their mistakes. When did someone give YOU room to learn from your mistakes, and how has that benefited you? How can different generations learn from one another? Tolerance is not an excuse for ignoring problems or blaming others. When conflicts arise, go to those involved to resolve the issue quickly. In what areas do you have greater tolerance or leeway to do things differently at work? In what areas is there little or no tolerance? If you decide to decide to confront someone, how can you do it with a humble & gracious attitude? Every year, all busines entities are required to file Form 901 (Business Personal Property Return) with a county assessor's office to report tangible assets for the year. The due date for filing this year's return is March 15, 2017. Click here to review a list of information that is typically needed to prepare this return. Online Security: What Risks Are You Taking?